The Man of the House (TMOTH) makes us pizza once a month. He takes his pizza very seriously. 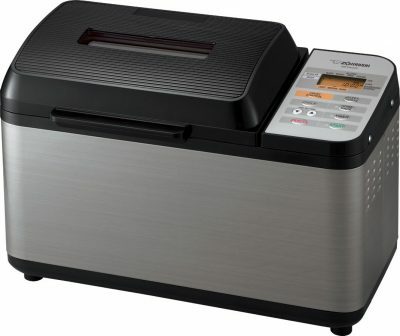 This means that he uses quality ingredients, a pizza stone and he makes the dough from scratch using the bread machine. Recently TMOTH tried a new pizza crust recipe. 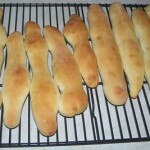 It uses semolina flour, the same type of flour used to make many types of pasta. It turned out great! 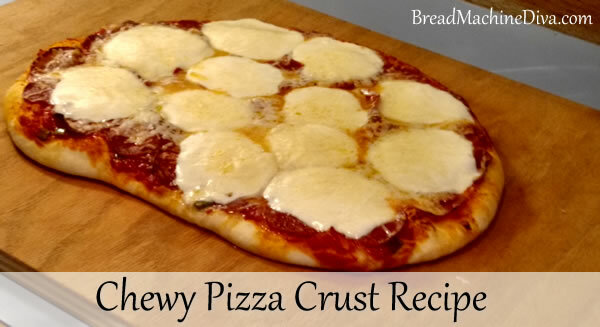 The dough was easy to work with and the pizza crust was chewy and tasty. 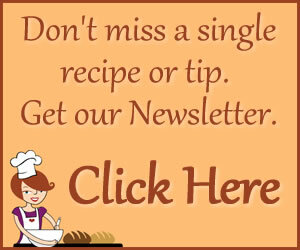 Follow the instructions that came with your bread machine in terms of what ingredients to add first. Use the dough setting. 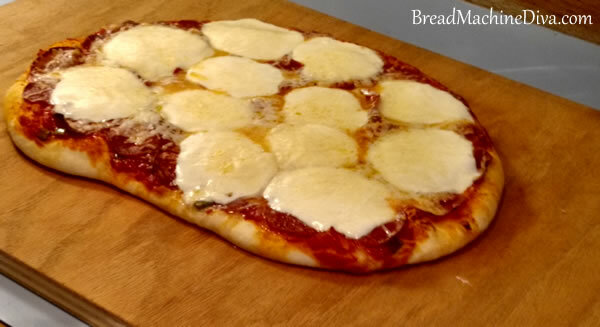 To cook the pizza, follow the instructions on this page if you have a pizza stone OR follow the instructions on this page to make pizza using cookie sheets. For years we've had pizza night once a month. The Man of The House makes the pizza dough in the bread machine. 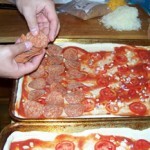 Here's the recipe and exactly how we make our homemade pizza. Say goodbye to take out pizza. 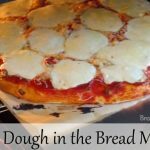 It's easy to make pizza dough with the bread machine. 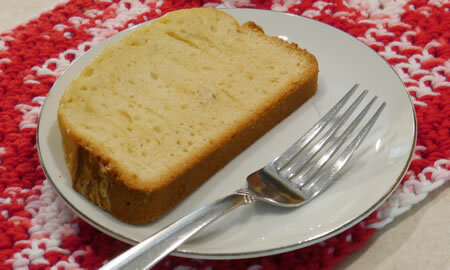 I need a recipe for a gluten free & egg free bread. Ann, I haven’t had much luck with gluten-free recipes. However you might check out this post about King Arthur’s gluten-free pizza mix. I’m not sure if it contains egg products or not.